The Qurʾān Concordance is a unique finding aid which allows users to identify and localize text fragments, or even snippets, of the Qurʾān. The use of the Qurʾān Concordance (QC) requires some understanding of its underlying concepts, as described in the How To. 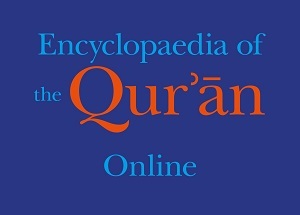 The Qurʾān Concordance is part of the subscription to Encyclopaedia of the Qurʾān Online, and is presented as a separate but connected title. The use of the Qurʾān Concordance (QC) requires some understanding of its underlying concepts. For this reason it is highly recommended that all users read this page first. The Qurʾān Concordance Online consists of a typeset version of the King Fuʾād I Edition (Cairo 1924) of the text of the Qurʾān, as well as a coded representation of the Arabic script skeleton based on the earliest manuscripts. Not all manuscript copies of the Qurʾān agree on the vowels and dots in the text. Moreover, the alif ṭawīlä following fatḥä in the printed editions is sometimes absent in the oldest manuscripts, while vice versa, in the position of an alif ḫanǧariyyä (representing a alif ṭawīlä “missing” from the rasm) following fatḥä of the printed editions and later, mainly Western manuscripts, an alif ṭawīlä can be encountered. The question of which version to follow can be avoided by eliminating the unstable graphemes categorically and by keeping only those graphemes on which there seems to be agreement. In order to create such a ‘common denominator’ version of the text, all disambiguation marks like dots and vowels, as well as all identified “weak” alifs were therefore removed for the QC. This manipulation automatically shifts the full semantic burden to the bare script skeleton, the rasm, as is the case with the oldest manuscripts. The QC is based the printed Cairo edition, but approximates the structure of the Urtext exploiting the observations in manuscripts described above. This method is based on the conviction that the manuscripts, and particularly their script skeletons, are essential for our understanding of the texts. Many scholars have tended to base their analyses on printed editions, thereby ignoring the possibility that dots, vowels and even the grouping of unmarked letter blocks into words, for none of which the earliest manuscripts provide consistent evidence, could be the result of exegisis rather than of integral text transmission. They in fact interpret the typeset text by disregarding any ambiguity, of the original manuscripts. For instance both the phrase عِنْدَ ٱللّٰه ʿinda l-lāhi (two grammatical words) and the phrase عَبْدًا لِلّٰه ʿabda-n li llāh (three grammatical words, different word-separating space) are based on the same Urtext skeleton – but with different “exegesis” regarding inferred dots, vowels and even the grouping of the letter blocks into words. In order to represent the ambiguity observed in the early manuscripts, the QC uses a palaeographic transliteration where the majority of the distinct modern Arabic letters are merged into single groups or archigraphemes. The resulting archigraphemic transliteration corresponds as accurately as possible to the early state of Arabic script and orthography. If we apply the method of archigraphemic transliteration to the examples above, both modern interpretations of the Urtext can be reduced to a single EBD A LLH عٮد ا للە that maintains the ambiguity of the original orthography – and can be interpreted in either way. The QC therefore aims to reconnect scholarship with the original manuscripts, which, contrary to the ambiguity decribed above, contain distinctive features that are lost in modern typographic Arabic script. For example, some scholars argue on the assumption that the underlying text skeletons of the words سبعة sabʿä and تسعة tisʿä are identical, as if they are a series of indifferent stubs looking somewhat like this: ٮٮٮٮعه ( ). But in all investigated Qurʾān manuscripts such skeletons are markedly different due to the strict letter fusion conventions or script grammar , i.e., سٮعه ( ) and ٮسعه ( ) (these images must be printed with a “grammatical” font to make sense, images added in brackets) respectively. As a reference, the full set is repeated at the bottom of each page in the conventional alphabetic order, Arabic-Latin and Latin-Arabic. - N and Y can only be entered in final position. In initial and medial position they must be entered as B. - Similarly, Q can only entered in final position, in non-final position it is entered as F. - all discontinuous or non-connecting letters should be followed by a space. So raḥīm (رحيم) and raǧīm (رجيم) become R GBM. - The archigraphemic transliteration uses the Latin letters C end E for ص and ع respectively. The QC is a unique finding aid for text fragments, or even snippets, of the Qurʾān. If, for example, only four letters can be read, then the QC will locate all places in the Qurʾān where these letters occur. Say only the ص (or is it a ض? ), the ع (or is it a غ? ), and what seems like a د are legible. Applying the code, we get ص/ ض = C, ع/ غ= E, and د / ذ = D; then type in CE D (adding the space between non-connecting letters) in the search box, and the QC will show you all places in the Qurʾān where the combination of these letters (or their variants) occur. By adding a second, a third and, if necessary, a fourth letter group the search can be narrowed down to the precise location under scrutiny within a fraction of a second.